Handicappers study past performances, replays and scores of statistics just to try to pick the winner of a horse race. After hours of evaluation, even if the handicapper is lucky enough to pick a winner, that doesn’t always guarantee he or she will make money from their hard work. One of the pitfalls for many bettors is not spending enough time building their tickets and it all crumbles when it comes time to put in their wagers at the windows or their on-line accounts. Lucky for attendees at the second-annual Equestricon in Louisville, the Ticket Construction and Betting Strategies Workshop scheduled for 9:30 A.M. on Tuesday, October 30, will help bettors focus their wagers - and just in time for the 2018 Breeders' Cup World Championships.. The workshop will be set up "classroom style" in Room 101 at the Kentucky International Convention Center. Attendees are encouraged to ask questions throughout, as workshop leaders address the many aspects of individual race and multi-race ticket construction. Those leaders include AmWager’s Simulcast Director and Program Coordinator Papo Morales, Las Vegas sports betting legend Alan "Dink" Denkenson, Brisnet’s Director of Marketing Ed DeRosa, and author and professional handicapper Mike Maloney. One of the main objectives of the workshop will be to educate Equestricon attendees how to construct tickets to reflect their strongest opinions in an individual race and in multi-race wagers. A player may have only a couple of strong opinions on a given day or card, but being disciplined enough to leverage those strong opinions to make money is one of the toughest challenges in the game. Naturally, looking at a whole card will sway a bettor one way or another whether a multi-race wager like the Pick-4 or 5 is a good approach to reflect his or her opinion. Each player has their own budget restrictions when playing these large wagers over sequential races on a card. When “singling” in a multi-race play, a bettor would use only one horse in at least one race in the sequence and spread with multiple horses in the other races in the sequence. If a bettor believes strongly that one horse will definitely win a certain race in that multi-race play, but thinks that many horses have chances in the other races, singling is a great way to lower the cost of a ticket. Additionally, it could also leave the door open to invest more capital in the tougher races in any given sequence. The term “value” has many meanings to different people and is thrown around a lot at the racetrack. In its simplest definition, value is when your personal opinion of a horse’s chance to win are better than the current win odds. You'll often hear bettors refer to value plays as overlays. Creating value and reflecting your strongest opinions in multi-race plays and individual race betting is a tricky dilemma. One of the quandaries that bettors need to manage when betting on an individual race is if they should box their bets in their exacta, trifecta and superfecta plays, or lean towards straight bets. When boxing a bet, you get all the combinations of the horses you use in the wager. Therefore, if you like three horses in a trifecta and you box them, then you win if they come in first, second and third - in any order. Boxing will cost you more, though, and affect your Return on Investment (ROI), which is very important when accounting for the overall profitability of your wagers. Playing straight bets, as in predicting the exact order of finish of a race, naturally results in wagers on fewer combinations and, hence, can also reduce the cost of a ticket. However, straight bets can sometimes come back to haunt you, like when a long shot you really liked wins a race and you only played that horse in the underneath spots in 2nd, 3rd or 4th in your wagers. There is a fine line that each handicapper needs to assess. Morales agrees that evenly weighted boxes is not the best way to manage your wagers and points out that AmWager’s Advanced Deposit Wagering (ADW) tools allow its users to “dutch” their individual race exotic plays. By using AmWager, the exacta probable payouts are used to assess how much a user bets in different combination to make the same ROI on the bet. DeRosa is a key box player, also, looking to leverage one horse in his individual race exotic plays. DeRosa does see some need for equal boxing if you are playing against the favorite, though. 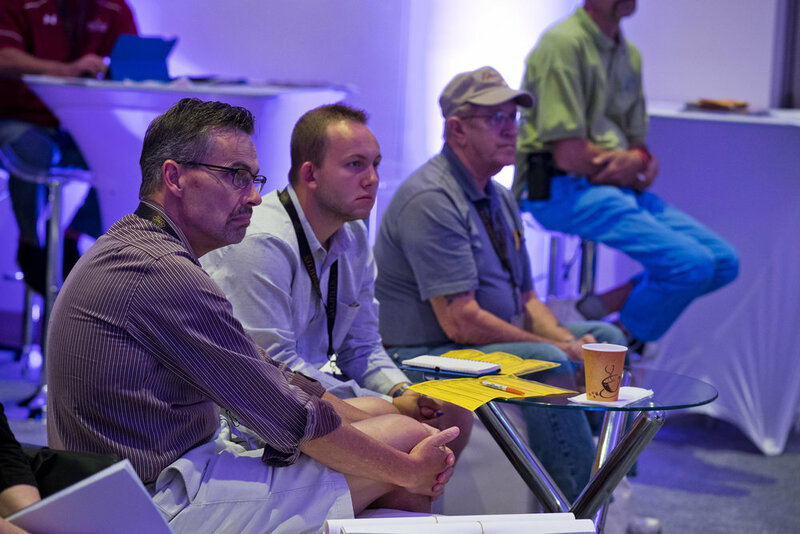 The Ticket Construction and Betting Strategies Workshop is one of more than half a dozen sessions dedicated to handicapping and wagering during Equestricon. The two-day fan festival is expected to attract the best handicappers in the world, as well as some of the most well-known tournament players. Workshop topics will focus on a range of subjects, including visual handicapping, computer-based wagering models and advanced analytics, insights from horsemen who bet, and (particularly timely ahead of the Breeders' Cup) angles for betting at Churchill Downs. Fornatale attended and spoke on a few panels at the inaugural Equestricon last summer in Saratoga, as did Morales. Maloney didn’t attend the first annual Equestricon, but is excited to be involved. This will be DeRosa’s maiden voyage at Equestricon, too. New for 2018 is the Equestricon "Ask A 'Capper" station on the main convention floor. It is sponsored by Keeneland Racing and modeled after Keeneland's Wagering Central platform. The station will be filled around-the-clock with experts offering personalized one-on-one handicapping advice to convention attendees.